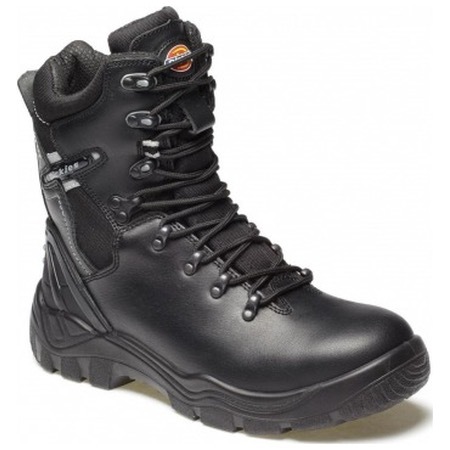 If you are looking for strength and toughness in a boot, you won't go far wrong with the Quebec Super Safety Boot. Similar to the traditional Rigger Boot, with a more modern look and feel, the Quebec brings the added benefits of being fully laced so there is no chance of them slipping off, plus with the side zip you can slip them on and off when you want to, no problem! Steel toe-cap, steel midsole, slip and oil resistant and with antistatic and energy absorbing properties, they're fully loaded to deal with the toughest working environments. The level of protection is unquestionable and with a mock fur lining, your feet will love you for owning them.